The Noblesville Rotary Club members are active and engaged community citizens, entrepreneurs, businessmen and women, thought leaders and service-oriented. Our club is comprised of men and women of all ages, from all walks of life and coming from all professions, from lawyers and teachers to graphic designers and journalists. The Noblesville Rotary Club is a place to connect with new faces as well as see familiar friends, all while experiencing the rich reward of "service above self." It is a non-political, non-secret, secular organization with the aim of improving our own community, our nation and our world while making meaningful connections and lasting friendships along the way. Rotary has been working tirelessly to completely eradicate polio from the face of the planet. Polio has been reduced by 99%. We are closer than ever to ending this crippling disease forever. 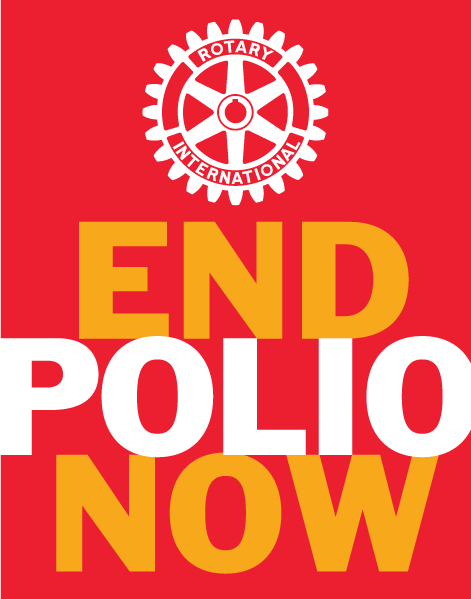 Click the logo below to visit the website for End Polio Now and join the fight against polio.